H. Nordtveit (TSG Hoffenheim €8.0 M), A. Fletcher (Middlesbrough €7.3 M), D. Randolph (Middlesbrough €5.60M), S. Feghouli (Galatasaray €4.25 M. Free transfer s. Hendrie (Southend United), R. Spiegel (Boavista Porto FC). Loans: J. Cullen (Bolton Wanderers Loan), R. Oxford (Borussia Mönchengladbach), E. Valencia (Tigres UANL), R. Burke (Bolton Wanderers), R. Snodgrass (Aston Villa). West Ham signed City ‘stars’ Joe hart and Zabaleta on loan and on a fee transfer respectively, but also signed Marko Arnautovic from Stoke in an attempt to bolster their attack. The signing of Chicarito has been heralded as one of the best deals of the summer in the EPL. 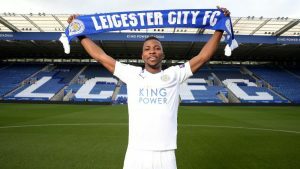 Nigerian youth sensation Iheanacho was priced from Man City and Iborra form Sevilla to strengthen their attack and midfield but the loss of Premier League Champion Drinkwater to the current champions will be strongly felt as the man who was to replace him – Adrien Silva – could not be registered after missing the deadline by 14 seconds. 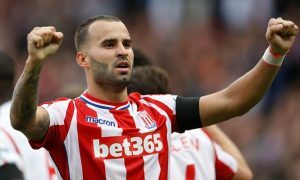 K. Wimmer (Tottenham Hotspur €19.4), B. Martins Indi (FC Porto €7.70M), Free transfers: E. Choupo-Moting (FC Schalke 04), J. Tymon(Hull City), D. Fletcher (West Brom), K. Zouma (Chelsea), Jesé (Paris Saint-Germain). M. Sakho (Liverpool FC €28.20M), J. Riedewald (AFC Ajax €9M). Loans –R. Loftus-Cheek (Chelsea), T. Fosu-Mensah (Manchester United). 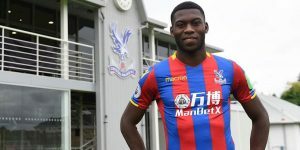 The Eagles finally got their man Sakho on the final day of the window and added him to he already signed Reidewald from Ajax and the loan signings of Loftus-Cheek and Fosu-Mensah. S. Clucas (Hull City €16.3M), W. Bony (Man City €13M), R. Mesa (UD Las Palmas €12.50 M), , E. Mulder (SC Heerenveen Free transfer), Loans – R. Sanches (Bayern Munich)T. Abraham (Chelsea). G. Sigurdsson Everton FC €49.40 M), F. Llorente (Tottenham €Hotspur 15), Jack Cork (Burnley 9.1 M) B. Gomis (Galatasaray SK €2.5M), M. Barrow (Reading FC €1.7 M). S. Kingsley (Hull City Undisclosed)Free transfers – L. Shephard (Peterborough United), M. Emnes (Akhisarspor), M. Birighitti (NAC Breda), Tabanou (Guingamp). Loans – Borja Bastón (Málaga), O. McBurnie (Barnsley), M. Grimes (Northampton Town), J. Montero (Getafe), J. Amat (Real Betis). 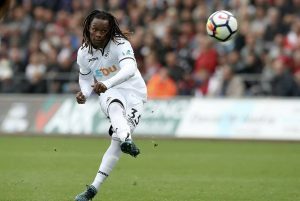 Swansea’s shock loan signing of 2016 Golden boy award winner Renato Sanchez is sure to excie the fans as would the signing of former Swan Wilfried Bony. Sam Clucas also came in from Hull and Roque Mesa from Las Palmas. I would be interesting to see how they cope with the exit of their two most influential attackers last season in Sigurdsson and Llorente.